Uriel, the Gift of God and the Winds of Change. Uriel stands guard at the gates of the garden of Eden with the flaming sword of God, awaiting man's return. 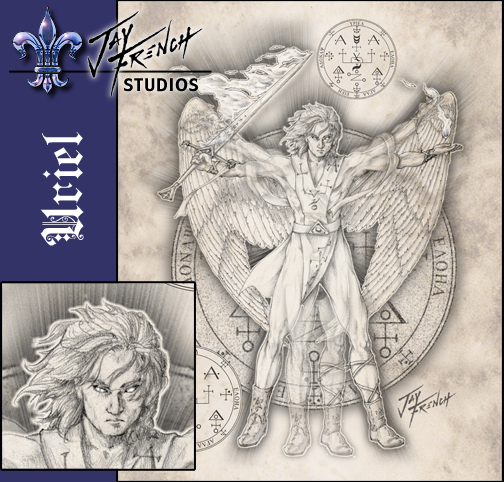 Click the image to view merchandise with "Uriel"